Osoyoos is located within the Okanagan Valley region of British Columbia. 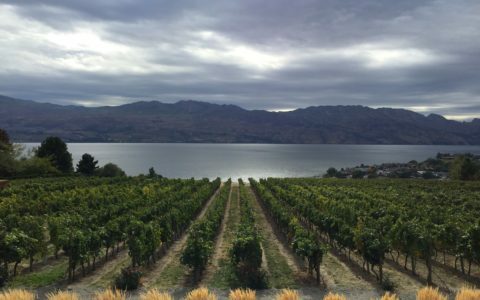 It is known internationally as part of a Canada winery district that produces quality wines with interesting surprises for a number of reasons. First of all, the valley consists of nearly 82% of the total vineyard acreage. 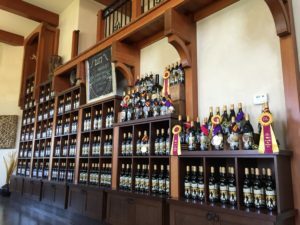 Secondly, it is also home to approximately over 170 licensed wineries. Furthermore, distinct sub-regions with different soil and climate conditions makes it an advantage to growing a versatile range of grape varietals. Naturally, Osoyoos is one of them. 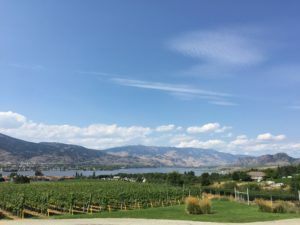 During my recent visit, I had the pleasure to visit two vineyards in the Osoyoos area. 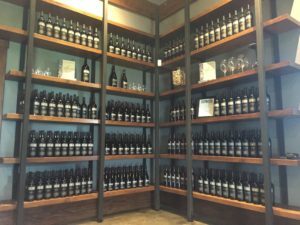 My first choice was to visit The Moon Curser Vineyards because I am a huge fan of their wine. They captivate me with their innovative path to wine making and how they embrace their Canadian heritage. 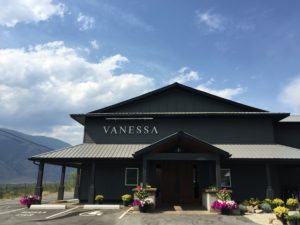 My visit to Vanessa Vineyards, on the other hand, was a beautiful surprising encounter. 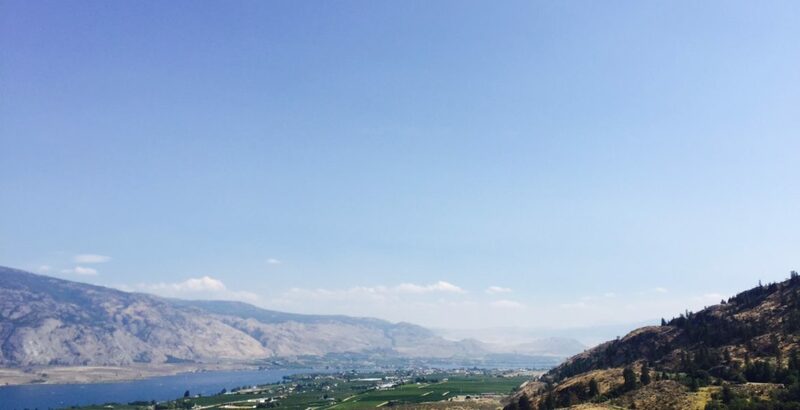 Moon Curser vineyard and tasting room sits overlooking Osoyoos. 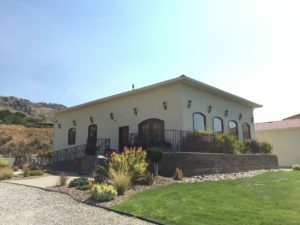 Located just five minutes on the outskirts of Osoyoos, BC, their beautiful backyard is part of their own vineyards. It provides a lush bright of green, painting the view of a little mansion in the mist of a Tuscany hill. 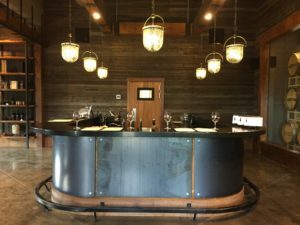 The Moon Curser tasting room is a bright open space. 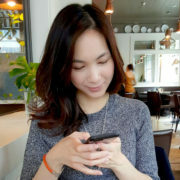 The experienced staffs explained the notes of each wine with great detail. I was having trouble deciding which one of their award winning Carmenere and Dolcetto I should purchase. 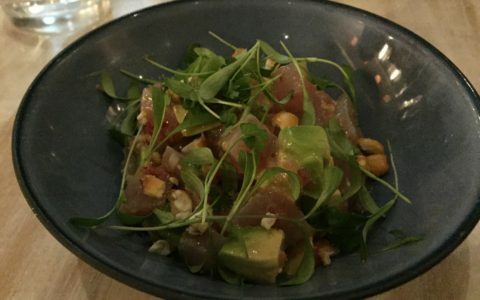 At that point the staff poured for me an extra tasting glass. I greatly appreciate the gesture. 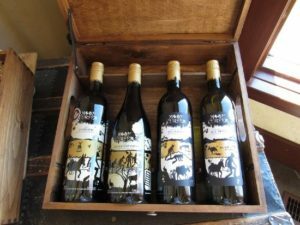 At the end I purchased a bottle of Afraid of the Dark 2016, the Dolcetto, a Syrah 2014 and their famous Dead of Night 2014. This beautiful rustic vineyard sits on the hillside overlooking the Similkameen Valley. The vineyard grows their grapes on 75 acres of well drained sloping rocky terrain. 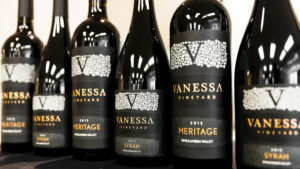 Vanessa Vineyard was previously a farm dedicated for the sole purpose of growing the finest red wine grapes for other BC wineries. In year 2012 the vineyard begun producing small quantities of premium wine using only 100% estate-grown fruit in the process. 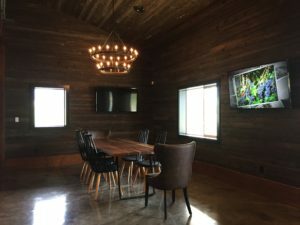 They hope to represent the Similkameen Valley and strengthen its reputation as one of the world’s up and coming best wine regions. 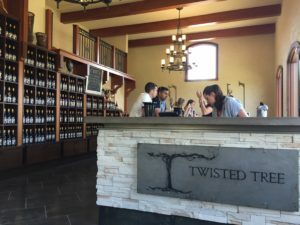 The vineyard tasting room was newly opened when I paid my visit. Of the 5 wine products available, I purchased a bottle of Rose and a Meritage. Up to 3 tasting glasses were allowed. 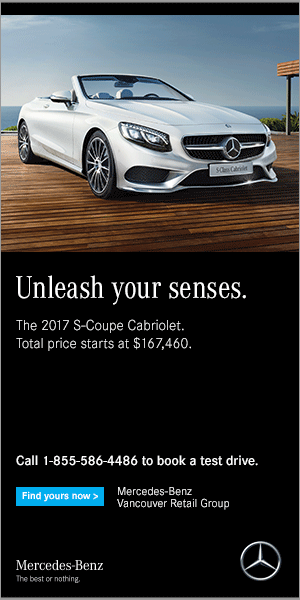 If needed to reconsider, the host is always happy to pour an extra portion to help with purchase reasoning.